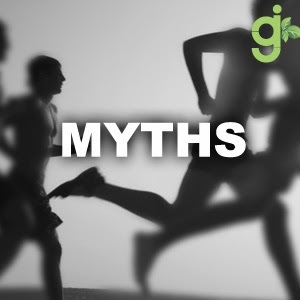 There are some myths that may be holding you back from exercising to your fullest potential. Eating smart can help improve your energy levels to an exponential amount! How does eating benefit you when exercising? You are going to be quite surprised by how much of a role eating actually has. One myth that is commonly mistaken for a fact is to only eat proteins after a workout. While people put a great emphasis on consuming proteins right after a workout, the job isn’t complete without healthy carbs. Protein is vital for building and maintaining muscle, yes, but you also need those good carbohydrates. Another myth to forget about: It’s better to exercise on an empty stomach. You can’t drive a car if its fuel tank is empty! You won’t have the desired effect if you work out on an empty stomach. To have plenty of energy to burn, eat a well-balanced meal three to four hours prior to exercising. But if you are running late and are in a rush, grab a sensible snack that you have time to digest. Myth to forget about: If you have to exercise early in the morning, skip breakfast. This is a humungous ‘NO!’ If your schedule prevents you from getting a workout in any time except for early in the mornings, grab something light like a banana or handfuls of dry cereal. That will be enough to give your metabolism a kick start and help you get a better work out compared to a workout after skipping breakfast. Myth to forget about: Drinking caffeine before your gym session will give you the energy boost you need! That is not the case. Don’t mistake that temporary burst of energy – that will most likely go away quickly- for fuel. The only energy that you can burn in a workout would come from food. Myth to forget about: Drinking liquids has no effect on your energy level. It is actually quite the opposite! One of the leading causes of fatigue is not being hydrated properly. You can become dehydrated with even a moderate exercise routine if you do not drink enough fluid to replace what you lose on a daily basis. Take the necessary precautions to prevent dehydration by drinking fluids before, during, and after tiring activity. Some people take these myths to be facts but what they don’t know is that these myths have consequences, unfortunate consequences.